This is a brand new 50 feet Professional grade Toslink to Toslink optical cable. 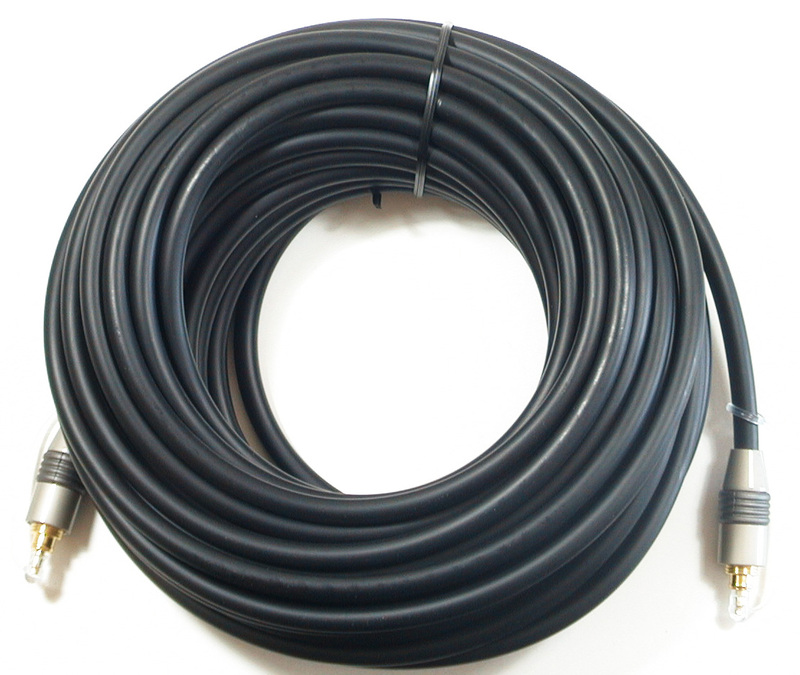 This high quality optical cable allows you to enjoy theater like digital audio effect with minimum transmission loss. Best of all, with this new patented head design, you will have no more frustration in lining up the cable head with your Toslink jack in the back of your equipments. 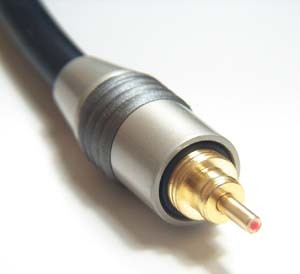 This cable uses a new round design which allows key less insertion into your audio jack at any orientation. This feature makes the cable connection easy and fast even with your eyes closed. This cable is guaranteed to work perfectly with all Toslink jacks. Please click the following web-link for detail specification: M670-Toslink-Spec (2.8MB). Similar products are being sold at some retail stores for over $100. Send the perfect digital sound directly into your Receiver. 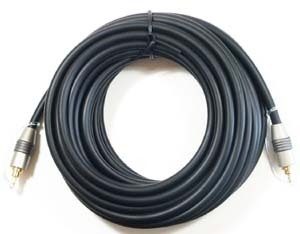 5-layer / 7mm cable construction offers great durability for indoor and outdoor use. 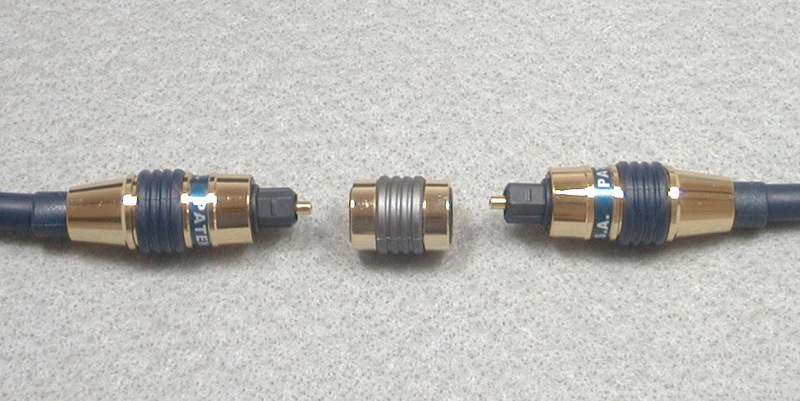 Tip and plug: Gold plated brass. Shell: Satin Nickel plated brass. 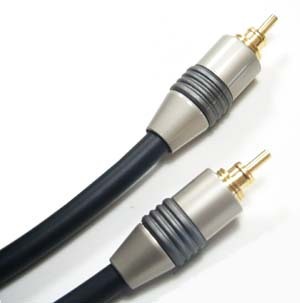 If this cable is still not long enough for your application, this matching high quality, gold plated toslink-to-toslink extender can further extend your cable. 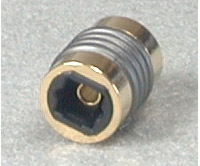 The insertion loss of this extender is only about 1 db. Please add $4.99 /ea to your final payment, if you are interested in getting this extender.